Every Thursday on A Bibliophile’s Reverie, Indulge in all things preternatural and Gothic. “Philadelphia. The late 1870s. A city of cobblestone sidewalks and horse-drawn carriages. Home to the famous anatomist and surgeon Dr. Spencer Black. 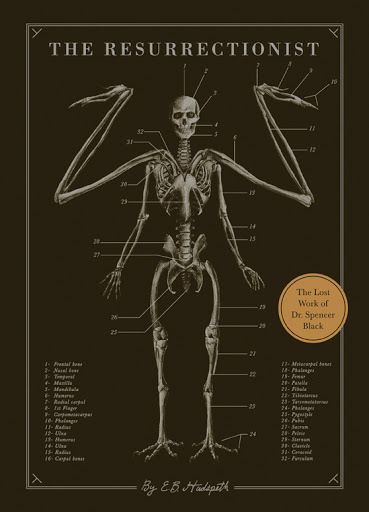 The son of a “resurrectionist” (aka grave robber), Dr. Black studied at Philadelphia’s esteemed Academy of Medicine, where he develops an unconventional hypothesis: What if the world’s most celebrated mythological beasts—mermaids, minotaurs, and satyrs— were in fact the evolutionary ancestors of humankind? Where the links and synopsis too horrifying and unsettling for your modest mind? Is the premise far too cadaverous to behold? Gothic Emporium will most assuredly keep you abreast of anything that pertains to Quirk Book‘s The Resurrectionist before it’s released into the world, come May 21, 2013. Check out the links below for more information about this exciting new release!